The City of Calgary is leading the smart city revolution as one of the first cities in North America to build a municipality-owned, carrier-grade network based on the LoRaWAN™ protocol. This innovation is possible through the collaboration of business and community partners, such as the University of Calgary (U of C). 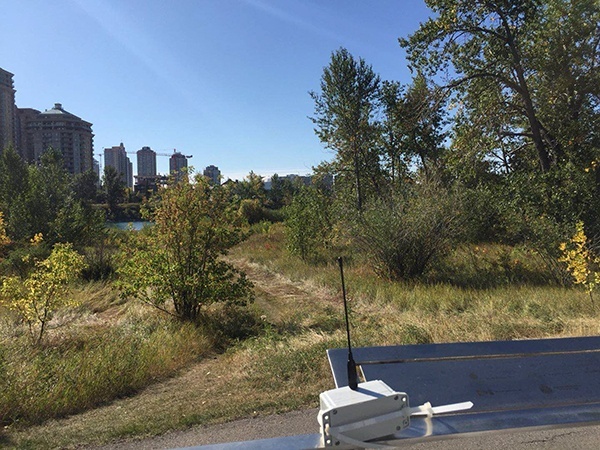 Facilitated by the Urban Alliance, a research partnership between the City of Calgary and University of Calgary, the Computer Science Department at U of C played a key role in driving smart city innovation with Semtech’s LoRa® devices and wireless radio frequency technology (LoRa Technology). Learn more about this valuable community partnership in the Q&A below with U of C Professor Majid Ghaderi, PhD, and graduate students Edward Rochester and Asid Muhammad Yousuf. 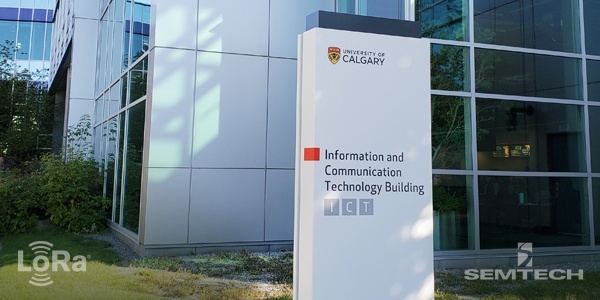 How did the University of Calgary’s students and faculty become familiar with LoRa Technology? Ghaderi: The U of C’s Computer Science Department has a long history of research in the area of wireless sensor networks. In the past, we even built our own sensor testbed based on short-range Zigbee technology. The short range communication of such technologies has always been a barrier for more interesting applications that require long range communication. So, we were always looking out for new technologies in this area. We learned about LoRa Technology through the LoRa Alliance™ website and white papers published on LoRa modulation and the LoRaWAN protocol. Later, we heard that the City of Calgary was interested in experimenting with LoRa Technology for The City’s future industrial Internet of Things (IoT) network. This motivated my group to study LoRa Technology and its capabilities for IoT. Several research groups in the Computer Science Department work on various aspects of IoT, including performance, security and privacy issues. For example, in my group three graduate students are currently working on IoT, specifically LoRa Technology. What was the scope of the Urban Alliance research project: “LoRaWAN for Internet of Things: Throughput, Coverage and Scalability Analysis?" Ghaderi: The objective of this project was to study real-life performance of LoRa Technology for Internet of Things in the City of Calgary. Several key performance metrics including throughput, coverage and scalability of LoRa Technology were analyzed both theoretically and experimentally. The experimental study was conducted using both “do-it-yourself” (DIY) tactics as well as commercial devices and gateways. We systematically evaluated the performance of LoRa-based applications in indoor and outdoor deployments in a city scale network. What’s next with LoRa Technology and your research? How many gateways are required to provide coverage for the City of Calgary? How many devices can be supported by one gateway? Now that we determined that LoRa Technology is a viable solution for IoT applications, we shifted our focus to develop IoT applications that can benefit from this technology. One such application that is of interest to the City of Calgary is urban noise pollution monitoring. Additionally, we are working on a similar application for forest health monitoring. Our objective is to develop a low-cost working system based on LoRa Technology for these applications. How did graduate students decide to focus on LoRa Technology in their thesis? Yousuf: I was very interested to explore the domain of IoT before starting my graduate studies. I came to know about LoRa Technology after going through a couple of blogs on Low Power Wide Area Networks (LPWANs). Later, my supervisor and I discussed the details of this technology, and addressed some of the features we could explore. After reading some of the research papers on LoRa Technology, we came to understand how LoRa Technology supports bi-directional communication with the inherent ability to trade communication range for high data-rates. LoRaWAN-based networks operate in unlicensed ISM frequency bands, and the radio frequency regulations potentially applicable to LoRa Technology are different for different regions. For example, in Europe, only 8 uplink channels at the 868 MHz ISM band are available to LoRa-based end devices, whereas in North America, 72 dedicated uplink channels are available. We found there was a need for research on the performance of LoRa Technology in North America, and most of the literature had been performed in the lab environment or simulations – not in the field. So, with the rapid growth of these networks throughout the world, it was important to find out what their capabilities are in real-world applications. What did you discover or observe about LoRa Technology in your research? Rochester/Yousuf: From the real-world measurements, we observed that LoRa-based end devices can achieve throughputs that are suitable for low-rate IoT devices with long-range connectivity. LoRa Technology provides good indoor and outdoor coverage, even with DIY end devices and gateways. Using an indoor located gateway, we achieved coverage of a seven-story indoor office building, and 4.4km of outdoor coverage range around the building with minimum packet drop. From a city-wide LoRaWAN-based deployment, we observed that three gateways are sufficient to cover a dense urban area within an approximately 15km radius. As one would expect, we did notice how LoRaWAN-based network parameters, such as Spreading Factors (SF) and packet size, affect the coverage. LoRaWAN-based networks are highly scalable; from high fidelity simulations, it was observed that a single gateway can support hundreds of thousands end devices assuming the traffic load of each device is low (around 15 minutes between transmissions). What do you think is the most compelling aspect of LoRa Technology in your research? Yousuf: The orthogonality of LoRa and the capture effect are compelling aspects of the technology. LoRa modulation uses orthogonal spreading factors, and due to this multiple packets of different spreading factors can transmit concurrently in the same channel, which significantly improves network performance. The channel access mechanism of LoRa is ALOHA, but it has the ability to perform capture effect. For pure ALOHA, if any part of the packet’s reception overlaps with another, it is termed as a collision. Due to the capture effect mechanism, some LoRa packets can be decoded even in the presence of concurrent receptions. Rochester: Another compelling aspect is how easy it was to setup the whole network and have it operate. There is a preconception about how difficult it can be to set up an IoT network. We had the same thinking that it would take some time and research to set up our first network. While I can’t say we went without our own bumps on the road, it didn’t require as much time or effort as we expected, and the devices just followed from there. This makes LoRa Technology a very easy-to-use and implement technology, even for novice users. While most smart city IoT implementations are located within city limits alone, the long range and low power abilities of LoRa Technology allow it to be used outside city limits in obfuscated areas for long amounts of time. In these scenarios we looked at sensor networks located around forests, mountains and rivers, that allow the collection of information about the environment over long periods of time. This opens up opportunities for research and data collection that previously were not available to the industry on such a scale. What do you think sets LoRa Technology apart from other IoT offerings in this industry? Yousuf: LPWAN technologies are considered for applications that are delay tolerant, require low power consumption with good communication coverage and do not need high data rates. The maximum packet size that LoRa Technology can transmit is 242 bytes and the maximum transmit power for each transmission is +30 dBm (1 watt), very significant compared to other IoT offerings in the industry. Apart from this, the orthogonality of LoRa Technology and the capture effect help LoRa-based applications become scalable. A single 64-channel Gateway LoRa-based gateway can support hundreds of thousands of devices with communication coverage which is very significant compared to other IoT platforms. Rochester: In my opinion, what sets LoRa Technology apart from other IoT offerings is that it operates over ISM frequencies, making it a perfect solution for people that want to manage their own private networks without being tied down by licensing and operators. The low-power and long-range abilities of LoRa Technology allow it to be deployed in places that don’t have cellular networks or easily accessible power sources. On top of that, the scalability of LoRa Technology allows for a large scale deployment over a large geographical area. This means that even with only a couple of 64-channel gateways, one can build a large independent IoT network, even in areas that would traditionally go uncovered. Explore the Smart City of Calgary and learn more about how LoRa-based solutions are revolutionizing smart cities.